Please complete the application below, which includes a personal statement, resume, and letter of reference. Please note: There will NOT be a session held on Monday, March 5th. 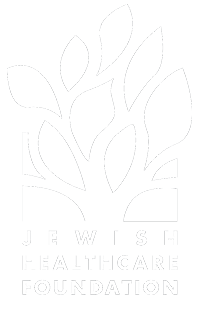 Letter of Reference (Maximum size 5 MB): Note: Past Jewish Healthcare Foundation Fellows and Interns do not need to submit a letter of reference. Download HIPAA and Photo Consent form here. In submitting this application, you affirm that to the best of your belief and knowledge, the information you have given is true and accurate; and that if you are accepted as a JHF Fellow and decide to enroll in the program, you will complete the program in its entirety. More than two absences will be cause for dismissal from the program. You further commit to respect confidences shared on assignments and throughout the JHF Fellowship. If you are experiencing technical issues when you try to submit your application materials, please contact Scotland Huber at huber@jhf.org.